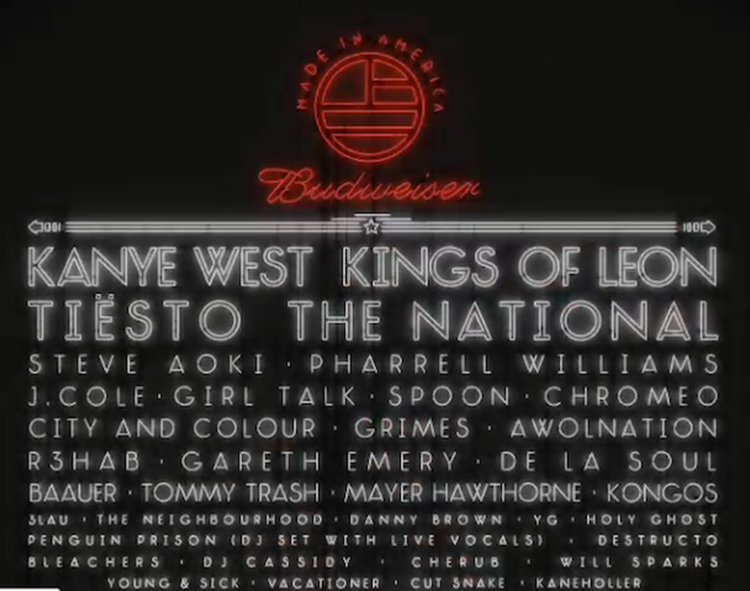 Made in America which is Philadelphia’s biggest concert brought you by Jay Z and Budweiser has released their 2014 lineup. It is absolutely amazing. I have heard lot of people complain, but I don’t know what is wrong with them! You have Tiesto, Kings of Leon, The National, and Kanye West headlining and then you have Chromeo, Steve Aoki, Girl Talk, R3hab, Gareth Emery, Baauer, Will Sparks, and more also performing. Get your tickets right now because you will regret not going!